I just LOVE posts like this one. I get to go on and on about some great experience I have had with a shop and it just makes me feel so good. It's way more fun than complaining about bad service - trust me I know because I have been known to do that from time to time. Today I'm sharing the goods on some new favorite shops. First in the Roundup is The Ribbon Retreat. I used to run to the fabric store for ribbon every few weeks during the holiday season because I had inevitably run out of one color or another. They would always be sold out or didn't have just the right shade or something. I decided this year to get organized and stock up before the holidays. I tried out Ribbon Retreat and was so glad I did. They have so many colors it will make your head spin. 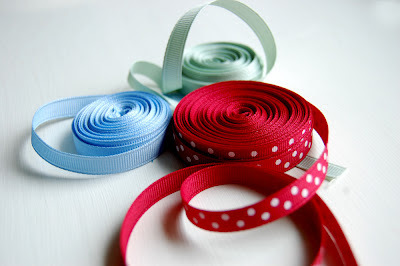 It made me want to come up with some ribbon projects just so I could try some more of the gorgeous colors there. They have very reasonable prices for both ribbon and shipping. You don't have to buy 5 miles of ribbon to place an order there (some places require a pretty hefty minimum). And finally, I swear I blinked my eyes and my package was in my mailbox. Just all around great. Next is good ol' Spoonflower. You know I love those guys and I think they must love me because they treat me so well. Nah, they treat everyone that way. 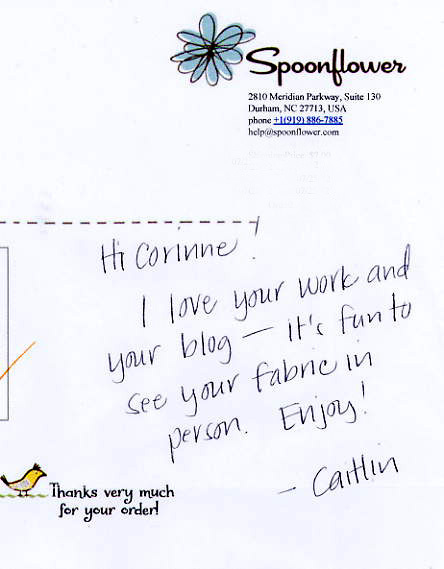 The other day an order I had placed landed in my mailbox with this super sweet note on the receipt. Oh my goodness that made my day! This last one is not supply related but I just have to share. 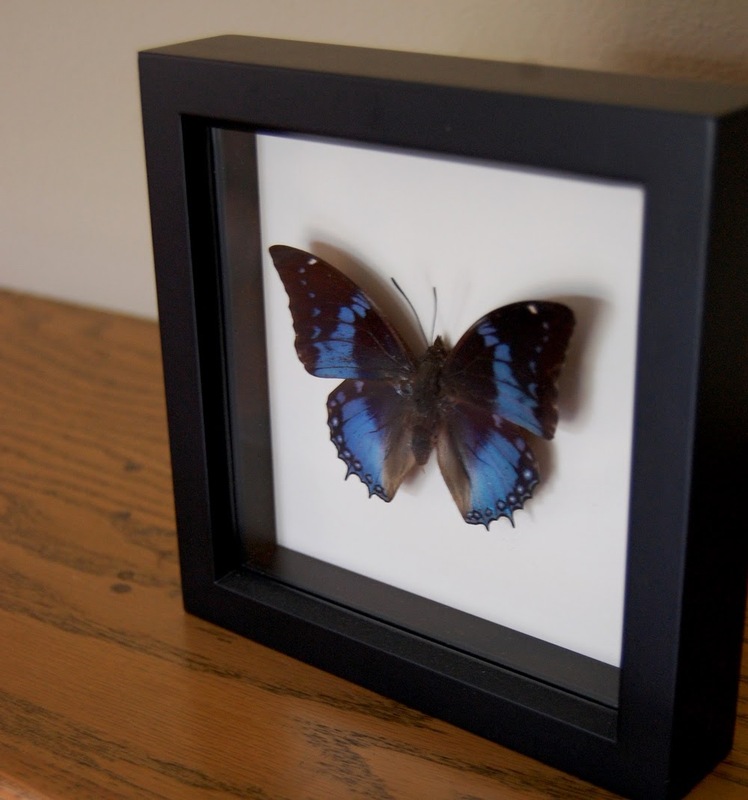 I found this gorgeous winged creature over on Etsy at a shop called Bug Under Glass. In an attempt to hang something on our walls in this house (because we never did in our old house that we lived in for almost 10 years!) I have let myself choose a few new things here and there. I've kind of been going through a butterfly thing lately and these really caught my eye. So I went for it and am so happy with this purchase. What a great shop. Within 30 minutes of placing my order I had a note in my convo box from the shop owner - a real message written specifically to me. Within another hour or so this little guy had been shipped. It arrived so fast I could hardly believe it. When the postal carrier brought it to the door I thought, "That couldn't possibly be my butterfly, it's too soon" but it was. I honestly have never seen such care and thought put into packaging either - wow. When I first looked at it, it took my breath away. These are even more beautiful in real life than they are in photos and they are pretty nice in photos. Thank you thank you thank you to all the people who provide service and products that go above and beyond!! Do you have a great service story to share? It's so fun to see my note to you! Glad the fabric made it to you safe and sound! Thanks for sharing great online finds! I favorited a couple things at Bug Under Glass (I do have a birthday coming up in a few weeks & needed items for my wish list!). I got a huge kick out of the beetle playing the banjo -- oh goodness, a sense of humor right up my alley! Alas, that one isn't on my wish list because beetles give me the heebie jeebies, but if they didn't I totally would wish-list it ;-).